'GLOSS? STAIN? LIPSTICK? WHY COMPROMISE? HAVE IT ALL' declares the blurb for the YSL Rouge Pur Couture Vernis À Lèvres Glossy Stains, and I was certainly intrigued. Bone idle as I am (just ask my mother! ), I hate to reapply lip products during the day and so the prospect of a longlasting, comfortable to wear product was very appealing. I was given shade number 13, Rose Tempera, a pretty, bright fuchsia. It's well packaged: I love the dinky little black bottle with the luxe gold lid, doe foot applicator and a little window to reveal the colour inside. Look at that staining power in action: when I tried to wipe off the swatch, it wasn't going anywhere! The product is buildable but you need two coats for a full-on burst of colour. It feels sticky on first application but dries quickly to a slightly tacky consistency. Wear time is impressive: it lasts around 6 hours on me, through eating and drinking, which is pretty much unprecedented! The colour and finish changes throughout the day as it fades from a bright glossy finish to a deeper matte stain - both effects are lovely. 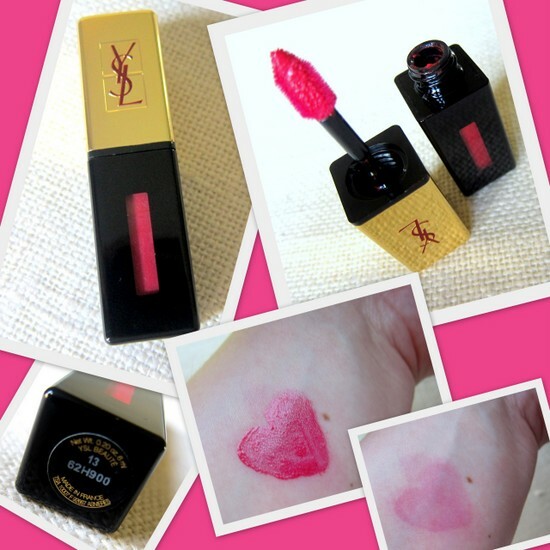 It feels lightweight and comfortable on the lips and has the trademark YSL scent and taste, which I personally love. There are 20 shades in all, and they're on counter now priced at €33. Have you splurged - or would you? I've worn their glosses before - they're superb. Love the staying power of this one! 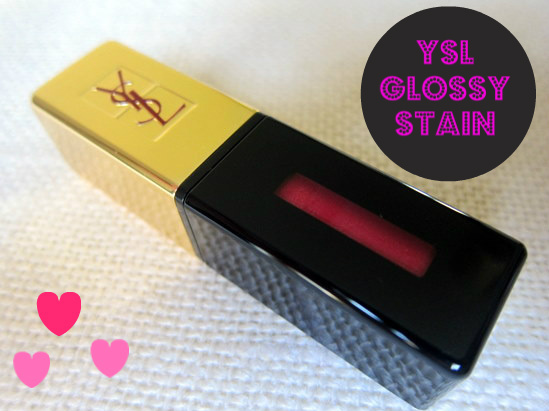 I just looked at YSL glossy stains last week so thanks for this review! I'm going to give it a try and the color is lovely! have already splurged, many times! love your review, though! Being a lip product junkie I love the idea of these, I'm dying to get my hands on the golden fuchsia colour, I love how they change colour and stay on the lips. On my list for next payday! Thanks for letting us know what you think Emma! I love their glosses too! That's a really pretty shade! I've always tried cheaper lip stains in the past and never had much luck with the results. That looks and sounds wonderful, it's on my list right now! Now this looks like a product I would love!!! Really like the look of this, the packaging is amazing too! i really want to try the stain!! I am loving stains these days, I need to give this one a shot! YSL always does amazing colours. I might have to try this! I have YSL now and love it and I can't imagine them making something that's not great quality. A lip gloss which lasts - I definitely need to try this! Great review. I got this the other day and really love it. I must check out some of their other shades for something a little more "daytime-y".